CALIFORNIA - There was no need to move your space heaters out to the fields yesterday morning—California produce growers have narrowly avoided a crop freeze, with most products having already shifted down to southern growing regions in November. Mother Nature brought freezing temperatures across parts of the North Bay, East Bay, and Salinas Valley early Monday, giving growers across the region plenty of reason to be thankful that their Yuma and Imperial transitions had already been completed. 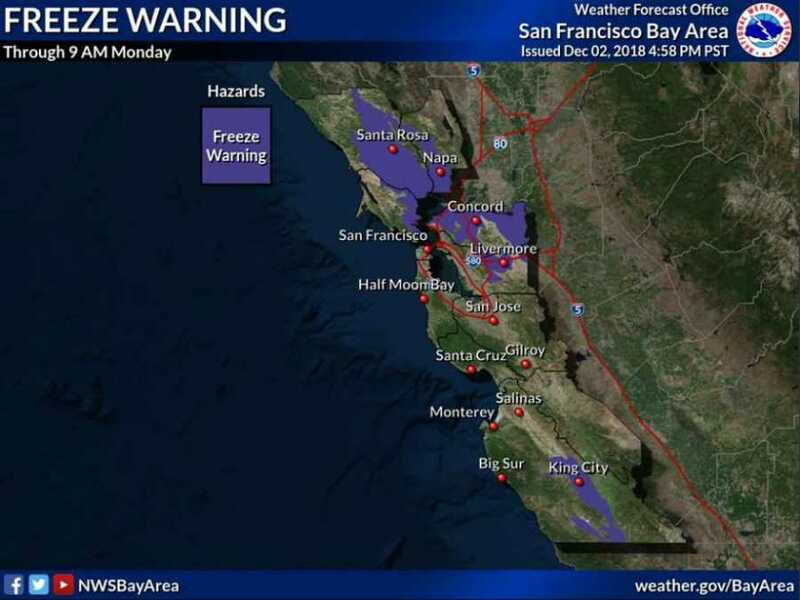 On Sunday evening, the National Weather Service issued an advisory for "imminent or highly likely" below-freezing temperatures in parts of Santa Rosa, Napa, Concord, Livermore, and King City that would threaten crops and vegetation. Other ANUK grower sources noted that there is little concern for frost in the area right now, as there are few products currently being grown in the Bay Area, including some cauliflower, broccoli, and onions. For more on weather affecting fresh produce globally, keep following our updates at AndNowUKnow.